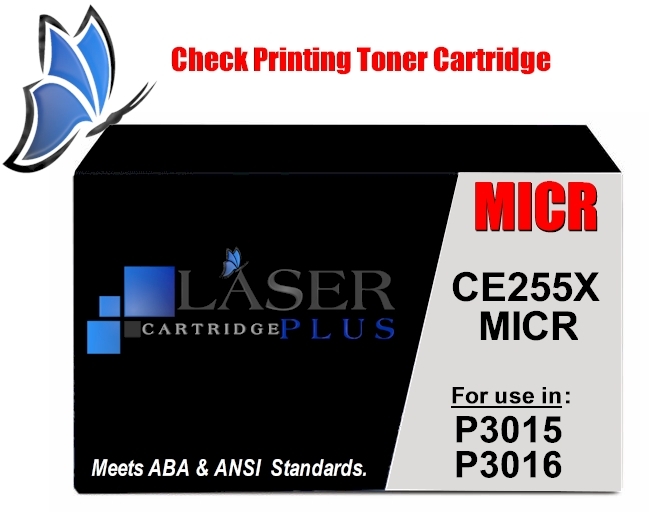 CE255X MICR Toner - HP P3015 MICR Toner - 3015 MICR - Print your own checks with our Premium New HP CE255X MICR Toner. Most HP laser printers can be used as a laser check printer. All you need is a MICR cartridge, check paper, and check printing software. You will be able to print check stubs, print checks in quickbooks and any other check software. This HP P3015 MICR Toner delivers excellent print value. This HP 3015 MICR Toner, P3016 MICR Toner is a Premium New black toner used in MICR check printing. 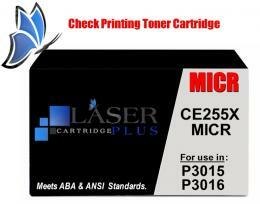 Compatible with MICR Cartridges: CE255X, CE255A, MICR-THN-55X, MICR-THN-55A, 02-81600-001, 02-81601-001, 55X MICR.